Really, the beginning of the Memphis ecosystem was a lot about just training individuals about entrepreneurship and and really getting them comfortable with the idea that entrepreneurship can look really different and it can be high tech entrepreneurship, it can be brick and mortar entrepreneurship, but those entrepreneurs might need different things and you serve as those entrepreneurs differently or you have to provide access to different types of capital for those different types of entrepreneurs. Startup investment landscape is changing. World class companies are being built outside of Silicon Valley. We find them talk with them and discuss the upside of investing in them. Welcome to upsides. Hello. Hello. Hello and welcome to the podcast, the first podcast finding upside outside of Silicon Valley. My name is Jay Clouse and I’m accompanied by my co-host, Mr. I have family there myself, Eric Hornung. My name is Jay Clouse? That’s a little bit of a mix up there, Jay. That’s a little bit of a change on the intro and I like it. I like it. It kind of threw me off to the point that I forgot that I was getting a nickname. I’m still learning here. It seems like, what percentage of our episodes do you think I’ve actually done this on 10 percent? Probably about. I’ll give you 15 percent. You get all of the coffee chats going forward so that’ll. It’ll ramp up. I think you’ll get to like 30, 40 percent here pretty soon. I liked this diversion away from acknowledging the nickname. Well, I don’t like it. It really threw me off at the beginning. I won’t lie. I was like, wait a second. That’s something different. Jumping into the nickname. I don’t have family everywhere. I just have family some places also, most people don’t fact check you if you say you have family somewhere. I don’t know if this is mostly on the mix or off air, but every time we talk to a guest and we’re starting to just get comfortable and learn something about them, he’ll ask where they’re from and almost no matter what their answer is, Eric will respond. Oh, I have family there. So I have. I have family. It’s just a it It’s a coincidence really. I have family in Cleveland, Buffalo, Atlanta, Memphis, Denver, Florida. I Dunno a couple more. Where does the Hornung family hail from? Where do you come from? Originally Hornung is Swiss, I believe, but I think you’re asking more about where we landed in the new world. No, I was asking about old world. Uh, so yeah, Hornung is a Swiss name to mix. So the furthest back we can get is John Jacques Hornung who was a French huguenot who got expelled from France in something like 1492 or 1592, I forget the year, but he met some German lady in Switzerland and there we are. Oh Man, history lesson Jay. uh, so the huguenots were a Protestant sect in France and I guess really across Europe but notably in France because in the, somewhere in the 15 to the 17th century, they were expelled from France. A lot of them emigrated out before they were officially expelled, but they were just a Protestant group in France and the Catholics and France weren’t having any Protestants, so they kicked him out and I’m sure did a lot worse. But the ones who got out, a lot of them went to Switzerland. A lot of them went to Germany, which were more favorable for the Protestant groups. I think that they were actually a little bit calvinist. I, I’m a sucker for history. My grandpa actually put together the first inklings of our family tree, I want to say like two decades ago. He went back and did this whole thing. I mean, that’s on my mom’s side. On my dad’s side. My cousin got really into the family tree ancestry.com thing and that’s how I know so much about both sides. They did a lot of the legwork and I just read a bunch of it. There was a woman who did the last cohort of unreal and her project was to write too long form journalistic pieces, finished them and pitch them to publications, and one of them was about her family reunion that she attended in Germany for the Braunschweiger after a guy still living in Germany, assembled, reassembled, a very broken family tree and found the Braunschweiger is all over the world and brought them together in Syria. Super, super interesting piece. I do have family. Memphis. I have. Well actually they just moved out of Memphis, but I’ve been to Memphis plenty of times because they used to live in one of the suburbs of Memphis eating a lot of good Memphis barbecue and it got me excited for today’s guest to learn about the startup ecosystem in Memphis. That’s rights. They were talking to Katie Milligan, the chief of staff at Starrco in Memphis, Tennessee. Katie brings the power of public policy to building entrepreneurial communities. She serves as the chief of staff at Start Co. where she supports the development of corporate, governmental and investment relationships to support building inclusive entrepreneurial ecosystems. This is our first dip into Memphis except for a quick aside by Monique when we were hearing about the 10 states that she deemed the southeast. That’s right. 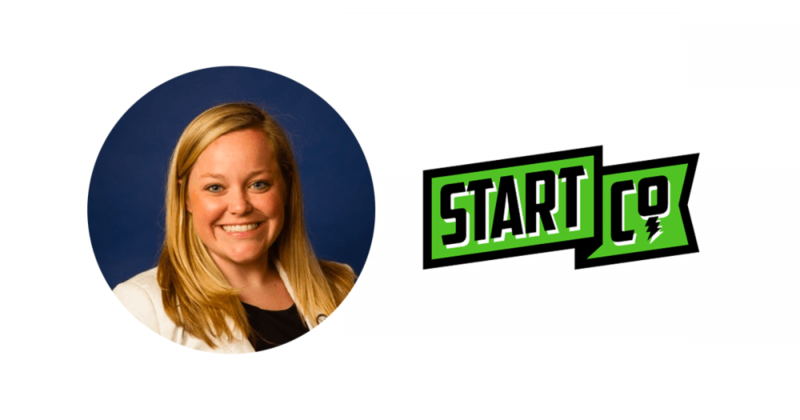 So we’ll jump in here with the interview to Katie to learn about what Start Co. does to support entrepreneurs and learn a little bit more about the Memphis ecosystem generally. But before we do that, if you guys have any thoughts about this episode as we’re going through, please tweet at us at upside fm or email us at hello@upside.fm. We want to make this a conversation and we’d love to hear your take on this dip into the Memphis ecosystem. Hey guys, wanting to cut in here real quick and let you know about something. Jay and I have been getting ready behind the scenes in 2019 when we started this podcast and I said that you, the listener, will have an opportunity to learn in real time to think like venture investors with us as we meet a wide variety of personalities, examine a wide range of industries. Well, now we’re going to share something new and it’s a little different. This new idea is called the update. It’s a carefully curated quarterly publication of editorials, trends, and stories happening outside of Silicon Valley. Jay and I will be writing stories about what we’re learning about on the podcast. Have guests editorials on interesting topics and share news and updates from our podcasts. In some cases, we may even share some exclusive content or first looks. Our goal is to stay at the cutting edge and of course bring you along with us. We’re super excited about it and know you’re going to love it. 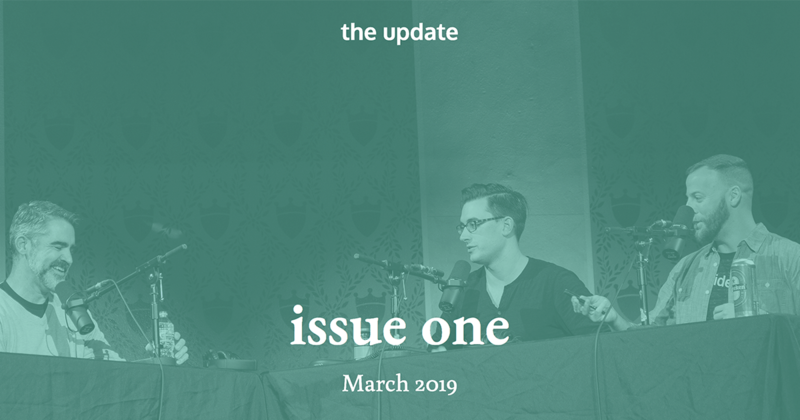 If you want to be the first to hear about our q one launch in subsequent letters, go to upside dot FM slash update to get on the mailing list. Thank you guys so much for having me. It’s great to have you here. And upside. We like to start with the background of the guests on the show. So can you tell us about the history of Katie? Yes. Okay. So like most entrepreneurs, I fell into entrepreneurship, so I grew up in Arkansas, went to the University of Mississippi and then ended up at the Clinton School of Public Service and literal for my master’s and I got connected with an alumni who was starting this amazing nonprofit that was teaching entrepreneurship and public service to high school students. So really my first adult job was teaching entrepreneurship to 10th graders and I had no context for entrepreneurship for lean methods and it really just kinda kept going from there. And I’ve worked on the federal side for a small agency called Delta regional authority that is doing economic and entrepreneurship throughout the Mississippi River Delta. And that’s how I got connected with Start Co. and with Memphis and I fell in love with what they were doing and with what was happening in Memphis. And so that’s how I ended up here as Start Co. chief of staff. And can you help me with the timeline a little bit there when you were doing that entrepreneurship education to highschoolers versus when you came to Memphis? Yeah, so I was doing entrepreneurship education with noble impact the non profit in 2012, so we did that for about two years and then around 2014 were statewide elections in Arkansas. So worked on a political campaign, which is what my background prior to noble impact had been. And then after the 2014 campaign shifted into working for DRA or Delta regional authority under the Obama Administration. And then in 17 started transitioning out and made the jump over to start go. So there’s gotta be a little bit more history to how you became aware of Start Co. and why it was so compelling that you wanted to make such a geographic change. Can you give some more context there? Yeah. So our CEO, Eric Matthews, and our president Andre faults have their own history with Memphis and their own connections. And so when I was working with Dra, one of my roles was to go literally throughout the eight states of the Mississippi River Delta. And Learn about entrepreneur, learn about what we call entrepreneurship support organizations or those nonprofits or government entities like start co that are supporting entrepreneurs and supporting the growth of ecosystems. And when I met Eric and Andrea, I was so compelled by their stories. Eric grew up an army brat and kind of lived all over but had decided on Memphis. Andre had grown up in Memphis and moved away but then wanted to come back and I think it’s so telling because I really resonated with that, with this ability to choose a place that was in, in many ways the underdog and entrepreneurship and Memphis has a lot of those qualities. But then you also look at the history of, you know, that FedEx started here and we have service master which is a fortune 1000 company. We have, you know, the entire history of blues music and obviously Elvis and like in many ways the history of, of Entrepreneurship and Memphis is really rich and really long standing. And so when I met Eric and Andre, even while I was at DRA, I was really interested in what they were doing in Memphis. And, and especially start because what I was seeing happen here was that they had taken this idea that Memphis was going to be the best in the world at a specific type of entrepreneurship, so we going to find and recruit and build the best logistics entrepreneurs or medical device entrepreneurs or home services entrepreneurs and I thought that was so unique from what other ecosystems we’re doing because it really like spoke to the vision that they had for the organization and that Start Co. had. But it also I think lends itself to make Memphis really competitive, especially against other midsize markets. And so when they reached out about the opportunity to move here, I was in a place in my life or I was just like, this is going to be a great job. We’re going to do it. And it’s a great organization. And it was the opportunity to really see because of where Memphis was and where Start Co. was, it was a really great chance to make the jump. And it was really good time. So before we get too into Start Co. and your involvement there, you touched on a couple of things that I wanted to talk about a little bit. You were involved in a political campaign and by involved, does that mean you were volunteering? Does that mean you were working for the campaign? What were you doing? And like, tell me more, a little more about that. Heck yeah. Okay. So I was working on a political campaign, so yeah, in a past life I was a political scheduler and fundraiser and so I have traveled all across Arkansas and also all across the delta. But for the campaign itself, I got to go to things like the Corning Labor Day parade and which is a tiny, tiny town in North Arkansas. So yeah, I think everybody should definitely volunteer on a political campaign at least once because it’s so fun. You get to really know the place that you live and you get to meet some of the most interesting and amazing people and you’re like, oh, well you’re basically my neighbor. So it’s great. What was so interesting about the Corning Labor Day parade that that’s the first thing that jumped to mind for you? Well, because Corning, Arkansas is absolutely a tiny town like it’s almost impossible to find on a map. And the interesting thing about it is that it’s this massive parade like people from multiple counties, multiple communities come to this stop and it’s this kind of really important check on the whole political route of Arkansas. So doesn’t matter what party you are, you have to go to this Labor Day parade and the rector and places like that. So it was really interesting. There’s all kinds of weird festivals that every state has that is, that politicians go to. And so being able to go to those things like the hope Arkansas watermelon festival and the Labor Day parade and I’m sure there’s tons more I can tell you about, but yeah, it’s all just really funky and interesting that people want to, that these, these things have been going on for 60 years and they are still very well attended. Kind of like the wood stock of politics, politics, people converging on a little town. Um, so after, after that, it sounds like you’ve had some great experiences there. You kind of got to get down into like some grassroots stuff. You did this DRA job and you were traveling around eight states of the Mississippi Delta, is that correct? Yeah, so it’s basically the DRA region covers southern Illinois, so around Carbondale, Illinois, down to New Orleans. So includes Missouri, Kentucky, Tennessee, Arkansas, Louisiana, Mississippi, and then parts of what’s known as the Alabama black belt. I’m curious, I have a feeling since you were there with an entrepreneurial bent that you took away some things, like there’s a bunch of underdogs that are building great companies and there’s a lack of capital in this region and there’s probably some sort of bias against this region or you know, kind of those big ticket items. But I’m really interested in what the most surprising things you learned during that experience where. So I think the most surprising thing is that entrepreneurship is happening, Eve, no matter how big or small these communities are and that they’re really great companies coming out of communities have, you know, 200 people and these communities really rally around these entrepreneurs and there’s some very competitive stuff that’s in the Mississippi river delta and, and I guess it’s not surprising if you’re from here, but I think it would be surprising for outsiders to look at that, but also that these entrepreneurs are incredibly resilient and they have bootstrapped their businesses. They borrowed money from their local banks, they’ve raised through friends and family round. They’ve done kickstarters, they’re, you know, doing all. Because obviously access to capital is a huge barrier for entrepreneurs in this region. And so just the way that they’re trying to overcome that and the resiliency that they have was really the best part of my job. Do you notice that entrepreneurs like that, do they tend to continue to stay in these small communities that are capital strapped but have communities that rally around them or do those areas have problems with those entrepreneurs leaving? depends on the business. For Tech talent, we see people because of tech talent gaps in the workforce, we see them tend to migrate to more of like urban cores, but for if you were doing a brick and mortar business or something where you can have maybe the manufacturing in a different small community, we tend to see entrepreneurs stay, which is really, really fantastic. So Eric, I haven’t been moved into Start Co. a little bit. You keep speaking of Eric and Andre, who I assume are the founders of Start Co. . Can you give us a little bit of a history lesson? You joined in 2017. Can you give us a history lesson? How and when start coast started and if the purpose of Start Co. has changed, walk us through that progression. So as I mentioned, Eric Matthews is our CEO, Andre Folks is our president and really so Eric moved here to attend Rhodes College, started working for the FedEx Institute of Technology. Andre Folks has a, is a native Memphian and has a background in financial services. He’s lived on both coasts and really when they were envisioning Start Co. , they wanted to build an organization that was supporting entrepreneurs and helping people who weren’t sure that they wanted to be entrepreneurs, take the big risk and so Start Co. has been around for about 10 years. We look very different than we did 10 years ago. We’ve been running accelerator program since 2011 and so we were really early in on the accelerator game, but in the beginning of Start Co. app before we were really running accelerator programming. It was a lot of just demystifying entrepreneurship for the Memphis community, so it was a lot of understanding the methodologies like lean methodology or the process and iterating and moving quickly and how you build a business, how you build an mvp, how you, how you get a team together to execute on an idea. So a lot of startup weekends, a lot of events, a lot of happy hours. A lot of just convening people who are already doing cool stuff or people who are interested in this space really led up to that launch of the accelerator programs and even our accelerators have changed. I mentioned that part of the reason why I was so attracted to start co was this idea that we could be the best in the world at specific things. And really we’ve seen the shift in our accelerator programming as well. Um, in the beginning we were doing pretty generalist accelerators, just high tech B to b and it wasn’t very vertical specific and we’ve seen a shift as, and this is in large part due to really innovative of corporates being interested in entrepreneurs and seeing entrepreneurship as an opportunity not as competition. And so that’s how we’ve really shifted into the accelerator programs that we have today, which are medical device, adtech, specifically around row crops which are like soybeans, cotton, that kind of thing, logistics, technology, home services, which we have a partnership with service master. So that’s anything related to the supply chain of the home. Think everything from your Amazon Alexa to pest control and lawn care. And then we’re also really looking at something around smart cities. Memphis is going to turn 220 19 and we’re really interested in looking at how do we integrate technology to build a safer more efficient Memphis for the next 200 years. Yes, I am a Memphian. Is that what you were going to ask? Like Jay’s not a Columbian. I would have guessed it was like an artesian, like a meme Memphisian. Memphisonian could work. I don’t know. But hey, you guys make the rules. So sorry. Quick aside there. Jumping back in you, you mentioned that one of the roles of Start Co. is training and you talked about the lean method and you talked about all of this training that you were giving to people who may be interested in entrepreneurship. You also mentioned corporates, so I’m, I’m curious about the history of, of Start Co. and how it not just train entrepreneurs, but how it trained community. Yeah, so I think in the beginning of Start Co. and really under the really the beginning of the memphis ecosystem was a lot about just training individuals about entrepreneurship and and really getting them comfortable with the idea that entrepreneurship can look really different and it can be high tech entrepreneurship, it can be brick and mortar entrepreneurship, but those entrepreneurs might need different things and you serve as those entrepreneur entrepreneurs differently or you have to provide access to different types of capital for those different types of entrepreneurial or. So. A lot of it was getting people comfortable with just the way that those types of entrepreneurs work and understanding where people do and don’t want to fit. The other part that I think is really interesting about Memphis is that we have a lot of players in this ecosystem and we all are really collaborative and really supportive of each other. So we have Memphis epicenter which is doing really the front door of entrepreneurship. So they’ve taken on a lot of that I’m training and a lot of for especially for those brick and mortar entrepreneurs. We have Memphis bio works which is really owning the medical device space and so, but we all partner together. So the interesting thing about the accelerators as it’s grown is that we do. So Start Co. provides what I call the base layer programming for all of the accelerator programs. So all memphis tech accelerator participants that are going through medical device or logistics or Adtech or whatever, all get the same business development education and it’s really hands on. It’s really intensive. We call it boot camp around here and it’s a hundred days during the summer, so it runs from May until August. And then those partners that I mentioned and those industry experts and those corporates come in and layer that vertical expertise. So you might have a logistics entrepreneur. I’m a medical device entrepreneur all sitting together in a Sasha and on marketing in the morning. And then the home services entrepreneur has a session with service master that afternoon. And the logistics entrepreneur has a session with the, you know, amazing logistics companies that are here, here and here in Memphis and not just fed up. Is that bootcamp organized by Start Co.? How much of a lift is that? Who is organizing that? So we have an incredible director of acceleration and his name is Ryan, so Ryan is really leading the charge for that. And so he is delivering the content and he’s organizing the schedule. We’re actually in the middle of recruitment right now. So our applications are open just as a plug and a we will. They’ll close in in March. So yeah, Ryan’s leading that charge. And then we have, like I said, we have great partners and so they all come in and play their role and we all share information, which I think is really helpful, especially when you have a small community of entrepreneurs, you know, it’s not just there, you know, the business health and their, their investment raise. But it’s also getting them acclimated to Memphis and having them feel like they’re part of this community and understanding, you know, that where they are and how their life is going outside of just the accelerator hours that they’re with us. Something I really want to spend some time talking about is this idea of collaboration you’re bringing up because we hear that in some communities, but I know in a lot of communities there’s also a fair amount of friction or territorialness. And actually what I’ve heard anecdotally from people like Monique who introduced us and uh, this horrible Buzzfeed documentary episode I was watching about scooters. Memphis seems to really be known for true collaboration. So can you talk to me about how that happened and when it started? Yeah. I mean it took a lot of time and a lot of those growing pains that you’re talking about. And there was definitely, it was not always smooth sailing and we have the benefit of understanding that in a resource strapped community or any community that we have to work really, really hands on with our entrepreneurs because they’re overcoming a lot of barriers. Not always, but for the most part coming, overcoming a lot of barriers, but we know that there’s just not enough resources and so it’s, it’s not advantageous for us to fight over funding or territory or any of those things when we can all work together and we’ve all carved out a space and we all know what we’re good at and so it’s just been a really long process, do we honest, but we also have great leadership that has really helped and been very transparent with each other and with the city and with the county to make sure that that happens. And do you find that there are a couple of vocal leaders who are really putting in the time to help organize players that ecosystem or is there like a council of elders that meets on some basis? Like how? How has it actually? Yeah. Actually no, no, no Council of elders I think yes, it’s absolutely been the leadership that’s really helped drive this. We also do what we call accelerator leads meeting every single week, starting from January through about November, so all of the partners that I’ve talked about that are participating in the accelerator come together. We talk about what’s happening in the accelerator. We talk about what’s happening in the ecosystem at large. We talk about the entrepreneurs, we talked about who’s raising. We celebrate successes. We mourn like losses, if you want to call it that, but so we’re really open. We’re really transparent. We’re always trying to talk to make sure that Memphis really is on the path that we’ve all put on this enormous amount of work to put it on. So that makes me even more curious to learn more detail about Start Co. here. Not that I wasn’t before, but what is the model behind Start Co.? How many people do you guys have on staff? Like how, how does it work? So we’re actually small but mighty is what I call us. So we have about seven people on staff, which is pretty small for the amount of stuff that we’re doing. And so the accelerators are really just one piece of the overall programmatic mission of Start Co.. And so we have the accelerator program that is Ryan’s kingdom. He is rocking that. He’s a rock star and I can’t say enough good things about him, but we also have this piece that’s really interesting called the 800 initiative. And so one of the things about Memphis that I think’s important to know is that there are 39, 800 minority owned firms and Memphis, 800 of those firms have more than one employee. You have this huge gap of people who are hiring and growing and developing their business with these people who are just single owner firms. And so what we are trying to do is to close that gap. And this is a new initiative. Again, we have lots of great partners that have come on to do this with us. So Christian brothers university is with us epicenter, which I mentioned earlier, is doing this with us. The city of Memphis is working with us, Shelby county, FedEx. And so what we’re really looking at doing is growing that number of the 800 as well as moving some of those 39,000 into that 800. And so we’re doing this through tech entrepreneurship, but we’re also doing it through brick and mortar. So we have a program with the city of Memphis called propel and it’s for minority entrepreneurs that have been around for three years and are doing about 250,000 in annual revenue and we really just look at their growth and operation strategy and we get into the weeds about understanding how to develop your customer base and how to grow your customer base and if you’re going to put in a new product, have you done your customer discovery which we are big on before. Just as a quick aside, before any entrepreneur comes to us, we always say we have a toolkit that is on our website. It’s open source information we shared around. But also you need to go talk to 50 people to see if you’re actually solving a problem. Because there is nothing worse than an entrepreneur that is like building something. No one wants and so we are big on customer discovery and so we do that even with our, you know, more advanced brick and mortar entrepreneurs. We do that with our early, early stage idea, just formed an idea stage entrepreneurs and so that’s a little bit of the the method I guess, and so a little bit about the different things that we’re doing here at Start Co.. I wanna say for the listeners, I’m looking at the toolkit right now and it is arrow. There’s a lot of great resources here. So real quick, before Eric jumps in with probably a more well informed question, you mentioned this 39, 800 minority owned firms, 800 of which have more than one employee. Do you have a similar breakdown for the non minority owned firms? Is the proportion similar or is that proportion? What is most significant about that statistic? Yeah, it’s actually the proportion that’s the most most significant about the stat and we saw a lot of these berms being created after the recession and so really understanding that are these firms even still alive? Is it just something that’s on the books or are these firms trying to grow and they just don’t know how to grow their business where there’ll be in a position to hire more than one employee. And so, and some of the stats on the business receipts on minority firms versus white owned firms. I mean, it’s just a huge, huge disparity. And so we’re really passionate about trying to understand are trying to grow those entrepreneurs so that, um, it’s, you know, Memphis really is the best place to be a minority entrepreneur in the country because that’s what, that’s what we want. So this idea kind of hints at something to me. You mentioned passion, you mentioned this program and when I think about Silicon Valley specifically and specifically San Francisco, there is this large deviation between the top and the bottom. There’s homeless people living on the streets and there’s billionaires living in penthouses. And a lot of that is attributed to tech. I guess rightfully so or maybe wrongfully. So I’m not sure. When I think about Memphis and I’ve been there a few times. I know just from having been there that there is a poverty and crime problem, to put it lightly. How does start co maybe more explicitly think about or is fueled by or is related to kind of these social issues and how do you think about looking at something like silicon that’s probably 50 years ahead of Memphis in terms of creating an entrepreneurial ecosystem and looking at that as, is this where we want to go? Yeah, I think that’s a great question and I think it’s something we have to think about every day in our work and I think it’s something that the city leadership has to think about every day when they go and improve our roads or improve our schools or work on public safety issues. And so I think tech can play a really interesting role on making Memphis a smarter, more efficient, safer city. And so that’s why we’re looking at this smart city piece for the bicentennial is that how do we get really great ideas from Memphian or from people who are interested in Memphis and want to be here and want to grow their company here? So I think that’s one piece of it is why we’ve, we’ve explored this smart city and why we’re looking at the 800 is because we know that, you know, those, those brick and mortar companies that I’m talking about that growing their kids are in schools here. They’re paying taxes, here are your neighbors. They care about public safety, they care about poverty, they care about, you know, giving to nonprofits here in Memphis. And so if we can help increase their ability to do those things through technical assistance and education, then I think Start Co. would be fulfilling its mission. The other thing to know about Memphis is while we do have an, uh, a lot of poverty issues, a lot of public safety issues, we’re also one of the most philanthropic cities in America. And so you have a lot of great people, a lot of great memphian who are investing their time and their resources in this community. And so one of the things that we can do as a team here at Start Co. is, is do that as well, but we’re also doing it on the individual level. So no, we’re all actively engaged, we’re all trying to make the city better, we’re all sitting on boards and doing things like that and I think even those little things are things that all of us can be doing and that any organization, no matter where you live should be focused on is how are you giving back and reinvesting in your community. And for Silicon Valley, I think, you know, the reality is as Memphis is never going to be silicon valley and we’re great with that, no offense to silicon valley, but you know, Memphis is a minority majority city. It was one of the first in the country. We are always going to strive for our accelerator cohorts, for our staff, for our volunteers, for anybody that’s in the ecosystem to look like Memphis. We want it to look like Memphis. And so I think that’s why we’re always going to be really intentional about recruitment about. And not just for accelerators, but like I said, our staff, we have a really diverse staff, which I’m really proud of and are to our partners and, and I think that’s really important. I may have missed this. Is Start Co. a for profit? Non profit. Okay. And so it grant funding, is it state funding? Like what makes Start Co. go? Yeah, it’s a little bit all of all of it. So we do have some philanthropic funding. We do have some federal funding, we do have some state funding through launch Tennessee, which is a really great supporter through the state of Tennessee and we also have, you know, some, some corporate investment in our entrepreneurs. So it’s a little bit of everything. Back back to that corporate point that Eric had brought up earlier, what is your method for convincing a corporate in Memphis to start looking at startups and open to startups as a form of innovation that’s beneficial for them? Yeah, I think that’s the big question for everyone because, because corporates can be very, very old school and so, um, we, we’ve gotten really lucky that we have some pretty innovative people leading the corporate and that’s really helped and they’ve approached us and they’ve said, you know, we know that Amazon is taking over the world and so we know that we have to have fresh talent, we have to have fresh ideas, we need startups in order to be competitive and I think that is incredibly innovative and hopefully that just creates a domino effect where more kids are doing that. And I, and I think some of it too is just getting those champions to. Again, it goes back to demystify this idea about entrepreneurship and that, you know, it’s no offense like guys in hoodies, like, you know, banging out stuff on their computer. They’re both wearing hoodies. Sorry guys. Uh, sorry, I’m sorry. I felt like we were firing off in that I could call you guys out, but um, but yeah, that it’s not that entrepreneurship that anyone can be an entrepreneur. It just takes the discipline and the ability to learn that these, these pieces, this business development piece to really start a business, but I think a lot of it is demystifying it and then getting those champions through community events. Like I said, you know, our staff is really ingrained in the community epicenters president. Leslie Smith is a rockstar. She is at. There’s no way she can sleep because she is at every single community event, champion entrepreneurs talking about the Memphis ecosystem and so we’re really on the same page as an ecosystem on that. This has to happen for Memphis Tech. Talent has to happen. We have to be innovative. We have to grow our entrepreneurial base because it’s not real. It’s becoming harder and harder to get those big fish or to get like a Nissan plant in your community, and I think this is something I saw across the Delta, is that you have your people chasing these big fish and in actuality they should be growing their base at home. and so we have a great nonprofit here called code crew that actually went through this Start Co. programming that is teaching coding to k through 12 students and they just did an adult code code school and I mean they’re doing it day in, day out. We have no one that’s doing awesome stuff around developing tech talent. The universities are working on it. We’re obviously always trying to recruit people to Memphis through accelerator programs or just other events. So yeah, this is a great place to live and work in tech. So Jay and I have talked to a fair number of people from a fair number of communities and generally what we find is that the, what we’ll call big co’s in the city tend to be related to the diversifying points of that that accelerators are picking or that is pumping out the city. So for example, in Columbus there’s a lot of insurance plays because there’s nationwide and a couple others. And in Cincinnati there’s a lot of consumer package goods stuff because there’s Procter and Gamble and a few others. So when I think about Memphis, there’s like FedEx international paper, maybe auto zone, and I think there’s a master. So logistics make sense to me from. Maybe that’s why I forgot it because of logistics. Make sense for me from the Fedex perspective, but the other three maybe don’t immediately click for me. Why were those three chosen as where they were? Memphis wants to go. Yeah. So for ag it makes sense based on our geography. You have access to the Mississippi River Delta, which is growing, you know, overwhelmingly the majority of row crops. And so we have a great AG network of farmers that entrepreneurs can engage with. They can test out their product, they have access to a huge customer base to go talk to. Is this really a problem? So Ag is as a geography thing for home services. A lot of that was driven by service master, so service master has brands like merry maids, American Home shield, Terminex and they started to see a need and they were like, this is, this is where all of this is going. We want to see innovative stuff coming out of that and they’re based here in downtown Memphis, which is fantastic. And then for medical device we have a lot of medical device companies. We do have st Jude here. We also have University of Tennessee Health Sciences is here. We have some great hospital systems and so there is a lot of need for medical device and the zero to 10 program that is the medical device program actually provides a lot of assistance in that. In that five, 10 pathway for FDA clearance. And so we’ve really carved out this space where if you’re a medical device entrepreneur you should come to Memphis because we’re going to help you get on that pathway. And we’re going to help them get your FDA clearance and go to market. So there’s one other thing that Memphis has a competitive advantage in and I think that’s barbecue. I’m curious. I want you to go live rank best barbecues in America. Memphis, North Carolina, South Carolina, Alabama, Texas and Kansas City. Oh, okay. So Memphis is one obviously number two, we’ll go with Texas three we’ll go Kansas City four North Carolina, five South Carolina, six Alabama. And then at the bottom is Nashville. That’s a Nashville hot chicken take, right? Yeah. You heard it here first. I respect the decisiveness. Katie, I know we’ve kept you a little bit over, so thank you so much for being on the show. I have so many more questions we could ask him. May Have to do a part two sometime, but for listeners who want to learn more about your start code, where would you direct them? Yeah, check out our website at neverstop.co. Definitely check out the toolkit if you’re an aspiring entrepreneur or an existing entrepreneur and we hope to see you guys in Memphis. Okay. Jay, we just talked with Katie Milligan of Start Co.. Want to hear your first takes. My first take is that you started the segment with the word. Okay. Instead of. All right, if you’re gonna, call me out for my intro. I’m going to call you out for that. See, I’ve only done like 10 percent of these. So you know we have a very. For the listeners, if you haven’t noticed, we have a. We have a framework where when it’s a coffee chat, Jay does the intro to the show and I do the intro to the deal memo and when we have a traditional episode, I do the intro to the show and Jay does the intro to the deal memo so we don’t always have the wording down and I could not remember the first word of the intro to the deal memo, which is Jay, what is it? Alright Eric we just spoke with. Yeah, always. Every single time except for this time and Jay wouldn’t tell me what the actual word was so I just had to go for it. Role reversals are hard. Anyway, big takeaways from the interview with Katie, biggest takeaway for me is collaboration and that was something that I’ve heard about Memphis in the past and it was good to get her reinforcement. It’s always a little hard because you’re never going to drop in and talk to somebody who’s representing an ecosystem and they’re going to be like, it’s a mess. Like nobody collaborates, but I do get a genuine sense that Memphis is a very collaborative city from the different data points that I’ve kind of taken in over the years and that comes through with Start Co.. It comes through with the organizations they work with, whether that’s epicenter, bioworks. I like this idea that they have the accelerator leads meet every week, most of the year to talk about the accelerator, the ecosystems, the entrepreneurs around. I like the spirit of collaboration that it sounds like Memphis has. Do you think, not specifically with Memphis, but in general, do you think there’s a correlation between level of collaboration and size of the city? Probably, yeah. I would more likely say there’s a. There’s a correlation between collaboration and the status of the thing. I think that groups, organizations, ecosystems, things that are less spoken about or have a lower perceived status in relation to other of that thing sounds very esoteric. They want to get into that conversation faster and the natural way or the best way to do that is through collaboration as opposed to competition. It’s just, it’s just what will get you there faster. It seems that when things have higher status or there is more to gain higher stakes, that’s when you start seeing some selfish or self interested bad behavior. uh, am I using the words wrong? I know you used esoteric before when talking about some aspect of finance. Esoteric is a word that means intended to be used or intended to be comprehended by a very small number of people with a really fine point understanding of something. So a deep understanding of specialized knowledge, something like that. All right. Maybe I was going more for like amorphous or hey, go nebulous is a good word. A lot. That’s good. Nebulous. It’s good. Yeah. I probably use that too much. The astronomer arrangements, so the inputs, inputs, so we have collaboration equals some factor times population where it’s inverse or inversely related. Potentially status of the thing that’s, that’s the Jay Clouse term for it and I think some level of gini coefficient. Do you know that is no. So gini coefficient is how money is split up amongst an economy. You can use it for other things but I might be getting this wrong but I believe a higher gini coefficient means that there is a wider dispersion of money so there’s a lot more people in the bottom 20 percent and top 20 percent and not as many in the middle class. Whereas a lower gini coefficient means that money is more evenly distributed. So there might be some overlapping data here as well. But I think that cities with a lot of old money tend to have higher gini coefficients and if I’m using higher or lower gini coefficients wrong to the listeners and it’s just the inverse, slower is better, higher is worse. Maybe I’m looking at status the wrong way. It’s what I’m trying to get at is organizations or groups that have a very strong agenda and have a hard time looking outside of that agenda and thinking about the bigger picture and how something that may not be as tangible can push towards that agenda. You know what I mean? Like it’s just good for an ecosystem to be more collaborative. Even if in the short term you are spending time or resources in such a way that you can’t immediately see how that’s going to return to you. I think what plays really well for ecosystems, and we talked about this on the episode with Stephanie Manning, when you have these grassroots ecosystem builders who act as integrators between the different groups but are themselves kind of a no agenda Switzerland type person or organization. Do you feel like Memphis has those? I think that Start Co. seems that way, you know, as a nonprofit that is working with all these organizations that are helping, like she even said epicenter is the front door start co will provide the same base level of education to entrepreneurs and the level, the layer on top of that, the different verticals that are specific for certain types of entrepreneurs, whether it’s logistics, medical devices, Adtech, home services, there’s the base level and you add on the vertical on top of that. They organize all of that and you know, to, to what benefit other than benefiting the ecosystem. Interesting. So they’re kind of like the glue that holds it together. The eagle is glue that holds together the Memphis ecosystem. Yeah. And you know, you’ll see organizations in different cities that do a lot of the same activities, but it’s part of an organization that is in itself a venture fund or has some for profit aspect that naturally just because of the alignment of incentives, they have to work towards their mandate fiduciary mandate while also maintaining those programs and it changes the way they operate sort of has to. So to go back to our equation that is very unscientific, just know that it’s more of a. It’s more of like, I don’t know. Do you cook Jay? big status is still good. All right. We’re staying with it. Status of a thing inversely related to population. The need for some sort of ego less entity or glue. And then my opinion would be that you need a less centralized source of power. So like when I think about that, I think about if there’s one billionaire in the town, anything he says goes or she says goes, right. So it’s, you need five companies like Memphis has that are all big and all powerful and they all have some sort of say that is maybe not equally weighted but as important. There’s no just one juggernaut in the room. Yeah, and I think there is decentralization and ecosystems all over the place or there could be, it’s when one of those actors doesn’t want it to be central decentralized and wants to become the centralized part. That’s kind of what I’m talking about with this status or agenda piece because there are always going to be these fragmented and beneficial pieces, but when one of them feels like, okay, I’m going to start taking ownership over what we’re calling the startup or entrepreneurship ecosystem here and doesn’t play nicely with the others, it becomes challenging to have the type of collaboration that Katie has kind of described in Memphis with Start Co.. So the last piece then in our recipe is a agnostic vision, right? It’s not leaning towards one specific player, but it is having all of those pieces in place and then setting a vision for the community that no one can hijack. And what I love about Start Co. is Katie’s representation that part of their vision and a large part of their vision is to be the best place for minority entrepreneurs. I really love that vision. I think that they’re doing some things behind it. They they have this bifurcation of services which is unique. Usually when you have a entrepreneurial center, most people are looking towards the future and they’re saying, hey, we need tech tech, tech, tech, tech, but they have this brick and mortar side, the 800 initiative, and they realize as a real generator for their economy and there is a lack of business services and skills, but then they also have the tech side, so it’s like, all right, we’re not just going to bring up the people who want to be high tech, go for this venture type returns, but also the mom and pop stores that are going to hire 10 people and bring some real economic activity. which relates to a tweet that I saw from. I follow too many VC’s on twitter. That’s what I get out of this. I never remember who tweeted what, but they said that Brick and Mortar retail isn’t dead Brick and mortar retail is dead, so like we need new businesses. We need new ideas. You can’t just go back to the same well of things that worked in the last hundred years because things have changed, but I think that this kind of accelerator, this kind of business service can help people think about business a little bit different than their grandparents who owned the same type of butchershop did. No yeah, keep yeah keep it coming. This is what we need. We need netflix coming after us. He went to Memphis because he was basically looking at the scooter trend nationally and how a lot of places are kind of anti scooter because scooter just popped up and they did the ask for forgiveness model as opposed to asking for permission and he talked to a lot of cities and city officials about their opinion. a lot of them were not into it. When he went to Memphis, Memphis was used as an example in this documentary as a city that was open arms saying, let’s work together. Let’s see how this can work. And it showed a scene where a couple of the individuals that have some degree of authority, I’m not gonna even try to remember what it was, but I think it was a city official. We’re mapping out, okay, what does this ride share or this a micro transit option look like for Memphis? And they also talked about how Memphis had better street infrastructure to support it. I think they have much better bike lanes. That worked well for the scooters. They talked to some business owners in the business owners were saying, you know, we’re on this side of the city and having these scooters, we’re getting Much more foot traffic because people can kind of zip around from different sides and they just didn’t know this stuff was here. So even then before we talked to Katie, I watched that and thought, ah, this, this is reinforcing my perception of Memphis being open and collaborative city. So we’ve talked to a good amount of community advocates, community leaders. I don’t really know what we’re calling them at this point. Community builders, okay that’s what we’re calling them at this point. What have we found that is similar that we saw in Memphis across all community leaders? To me, I’ll start. Every community seems to have focus areas, so for Memphis, it’s home services, smart cities, medical device, Agtech, logistics. It Just feels like every city we talked to has like, okay, here’s our slate of three to five things that we’re going to do really well. Are there other things? Well, the community builders to me are these people who act as that. I called it a Switzerland where they they are the glue between these different pillars of power. You know, you talked about the decentralization of power. I think the community builders are the ones that helped distribute that and help people play nicely together. They’re they’re integrators. They’re good communicators. Myself and people close to me here in Columbus, we’ve played this role in Columbus where organization a may not communicate super well with organization b, but they can through that neutral third party community builder really collaborate well together and it takes that vision of community over individual or community over organization to make that happen. The problem is it is a mostly thankless job that is not well compensated. There’s not really a model to incentivize it. It comes from genuinely good people who care about the community and those people exist and they do amazing work and often in my experience, and I’ve talked to. I know Eric Wiseman and I have talked about this from Cincinnati often because it’s a thankless job. People get burned out and they’ll end up leaving and that will leave a big hole in an ecosystem. So what do you think about the idea of the professionalization of the community builder, the entrepreneurial community builder? I love it. I don’t Know who or what funds it. My kind of take on it is a little split. On one hand, if you professionalize it, it means that you’re going to get some sort of likely taxpayer money to fund these jobs to fund this system. Even if you’re getting it from big ngos or some sort of vc collaborative in the city. There’s going to be a level of centralization that it feels like now we have not a community developer but a gatekeeper and I know that I’ve heard some of that feedback from entrepreneurs in certain communities that already some of the centers feel like gatekeepers and if you don’t get into their accelerator or you don’t play nicely in the sandbox with them, you’re not going to get access to their angel network, which they’re kind of taking over all of the angels and the city and giving them a good pitch, which is, hey, we’re going to derisk your angel investments for you. So that in that capacity I kind of leaned towards the brad fled model, which is entrepreneurs first and entrepreneurs carry the community and everything is centered around the entrepreneur and the community builders assist that in a decentralized way. But on the other side of things, I see the point of professionalization because you want your entrepreneurs building companies, you don’t want them building communities. Yeah. And there there’s, there’s a need for continuity and then proper succession for this space. I think I understand what you’re saying a little bit differently now and I do want to add a little bit of a caveat. I don’t know if I wanted to professionalize that position, I would just like to see a way to compensate it to some degree so that you keep that person feeling like they’re valued and they can continue to dedicate some time to it because mostly it’s it’s extremely volunteer. It’s while they’re either working at a company or building another organization and there’s kind of organized meetups and things on the side and that’s just not sustainable long term. It’s hard to maintain continuity because it’s a huge benefit. It’s hard to kind of quantify a think, but it’s such a big benefit and I wish that there was some way to incentivize it more, whether it’s professionalization or some sort of stipend or something. Yeah, and I think that Eric and Andre, which do you know who Eric Andre is? the Eric Andre show. Ah very up my alley. Yeah, so the guy’s name is Eric Andre. It’s on adult swim. Anyway, every time she said Eric and Andrea are, you said Eric and Andrea. I was just imagining this guy and he’s got like this huge fro and he’s at. Anyway, quick aside, but I think that Eric and Andre set some sort of vision that makes sense for Memphis and I think that Katie made a very conscious decision when she chose Memphis because she traveled around the Mississippi delta. She had a job that was talking to these organizations in every single city, so she had connections to go work in whatever city in those eight states she wanted to, assuming that there was a position available, right, but she made a conscious decision to choose Memphis, so to me that tells me something about Memphis as compared to those other communities that there’s something kind of special going on there and I think that regardless of the debate of the professionalization of the community builder or how it’s going to be decentralized or how it’s going to be funded, I think Memphis has a lot of awesome stuff going on. Well guys, we’d love to hear your take on this episode on Start Co. on Memphis. You can tweet us at upside.fm, and if you enjoyed this episode, please head on over to iTunes. If you’re listening on iTunes And leave a five star review, it really helps us, helps grow the show even better than that. You know what? Tell on your friends. Say, hey, listen, this episode about Memphis. I enjoyed it and we’ll talk to you next week. That’s all for this week. Thanks for listening. We’d love to hear your thoughts on today’s guest, so shoot us an email at hello@upside.fm, or find us on twitter at upside fm will be back here next week at the same time talking to another founder and our quest to find upside outside of silicon valley. If you or someone you know would make a good guest for our show, please email us or find us on twitter and let us know and if you love our show, please leave a review on iTunes. That goes a long way in helping us spread the word and continue to help bring high quality guests to the show. Eric and I decided there were a couple of things we wanted to share with you at the end of the podcast, and so here we go, Eric Hornung and Jay Clouse or the founding parties of the upside podcast. At the time of this recording, we do not own equity or other financial interests in the companies which appear on this show. All opinions expressed by podcasts. Participants are solely their own opinion and do not reflect the opinions of Duff and Phelps LLC and its affiliates Unreal Collective LLC and its affiliates or any entity which employ us. This podcast is for informational purposes only and should not be relied upon as a basis for investment decisions. We have not considered your specific financial situation nor provided any investment advice on this show. Thanks for listening and we’ll talk to you next week.